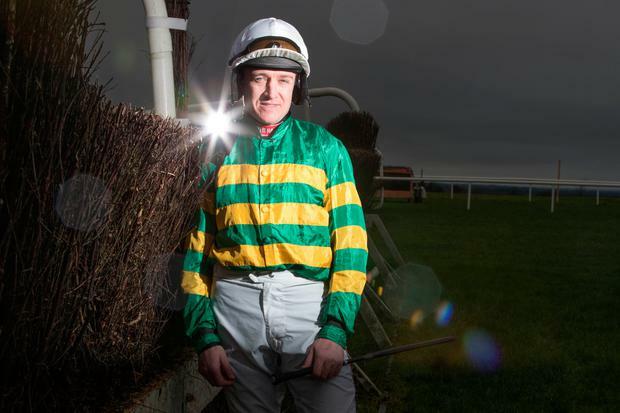 When athletes get to a certain age the talk of retirement often hangs over them like a shadow, but Barry Geraghty has no intention of hanging up his saddle any time soon. "As long as a piece of string," he remarks when talking about how long more he plans to stay in the saddle with his 40th birthday around the corner next year. Widely regarded as one of the greatest jump jockeys of his or any other generation, Geraghty still gets that same thrill as when he rode his first winner at Down Royal in 1997. Synonymous with legends of the game like Moscow Flyer, Sprinter Sacre and Kicking King, the Meath pilot is as strong as a bull in a finish and enjoys nothing more than winging a fence or a hurdle with the line in sight. "Oh Jesus Christ definitely," he responds when asked if the same fire burns as brightly. "There's nothing you'll enjoy more than blitzing down over the last two, nothing compares to it. "Horses that I got a good buzz out of this year like Le Richebourg - which was very good in Tipperary - or Ballyoisin. That's what gets you buzzing, ripping down over a couple on horses like that." Geraghty's honours list puts most sportspeople to shame, being crowned Irish champion jockey on two occasions (2000 and 2004) and twice leading rider at the Cheltenham Festival (2003 and 2012). With 36 winners, only Ruby Walsh has more winners at the Festival than Geraghty while he famously landed the 2003 Aintree Grand National aboard Monty's Pass for Jimmy Mangan. When Tony McCoy called it a day after a record-breaking career, Geraghty was his obvious replacement and was anointed first jockey to JP McManus three and a half years ago. The partnership hasn't been as fruitful as first anticipated but Geraghty is the eternal optimist and believes the tide will turn, with recent trips across the Irish Sea leaving him hopeful about the winter ahead. His alliance with McManus frequently brings him to the likes of Nicky Henderson (who he had a tremendous partnership with when stable jockey), Jonjo O'Neill and Philip Hobbs but it's something he's well used to. "I'm home a lot more but I commute plenty, I've been doing it now for ten or 15 years so it's no great change, I'm well used to it. You're over there riding good horses and winners, so it's always a pleasure," he says. His partnership with Henderson's Buveur D'Air has brought great success but despite winning back-to-back Champion Hurdles, the seven-year-old doesn't get the credit his achievements deserve. That was evidenced when the decision to keep Gordon Elliott's Samcro - which faces a tantalising duel with Buveur D'Air in the Fighting Fifth Hurdle at Newcastle on Saturday - over the smaller obstacles was announced. It resulted in Samcro usurping Buveur D'Air - undefeated in his last ten races - at the head of the betting for the 2019 Champion Hurdle betting. That's all the more interesting because Geraghty rates Willie Mullins' Laurina a bigger danger. "I think Buveur D'Air is better than his performance on the day suggests and he's a horse to look forward to but Laurina is probably the one to be more worried about than anything," the Drumree native says. "She has the mares' allowance as well and Willie is throwing her into a Champion Hurdle. You saw the way he protected Annie Power with the Mares Hurdle before Faugheen went by the wayside. "The fact that he's willing to put her straight into a Champion Hurdle, he's thinking she's top drawer. You'd respect that but the pecking order will only start figuring itself out in the next few months." When it comes to the pecking order for jockeys, Geraghty will always sit on the verge of the summit.